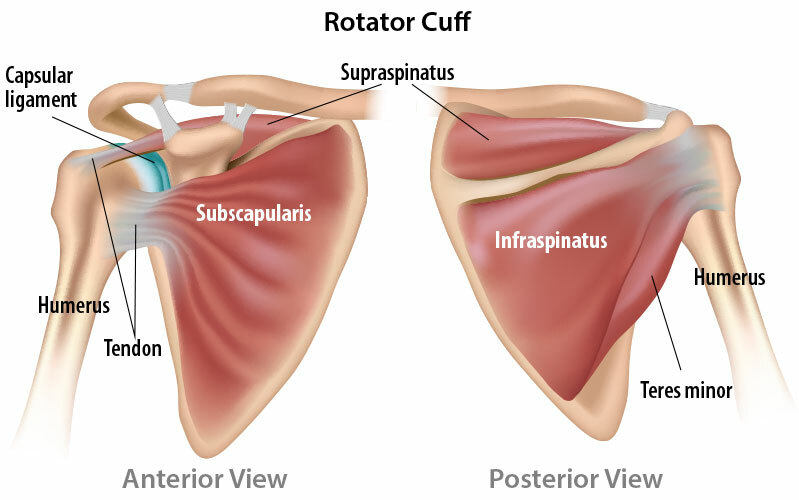 Although the goal of performing rotator cuff repair surgery is to alleviate the pain and weakness, there is no guarantee that the rotator cuff will heal. If it does heal, there is no guarantee that it won’t retear. Patients specifically at risk of failure to heal/retear are: older than 65 years, larger size tears, the tissue has undergone muscle atrophy and/or fatty infiltration, diabetic, smoker, and noncompliant with rehabilitation restrictions. Nine times out of 10, patients experience significantly less shoulder pain after undergoing arthroscopic surgery to repair rotator cuff tears. The procedure also, in nearly all cases, improves the range of motion of the arm and shoulder. Patients generally recover full use of their shoulders. However, some report continued pain, stiffness and weakness. The degree to which they can rotate their shoulders and move their arms may not be not any better than it was before the operation. When this happens, doctors identify the problem as failed rotator cuff syndrome. Elderly patients, those with diabetes and people who smoke are particularly vulnerable to the condition. Careful diagnosis is required to ensure that a patient does not have superior labral anterior-posterior lesions, rather than a rotator cuff tear. Each condition produces similar shoulder pain. 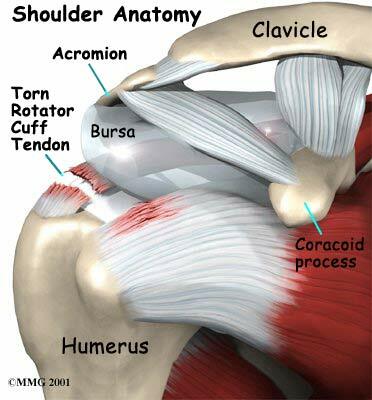 The syndrome is characterized by an “incompetent” rotator cuff. That typically means the tendons did not heal adequately after surgery. 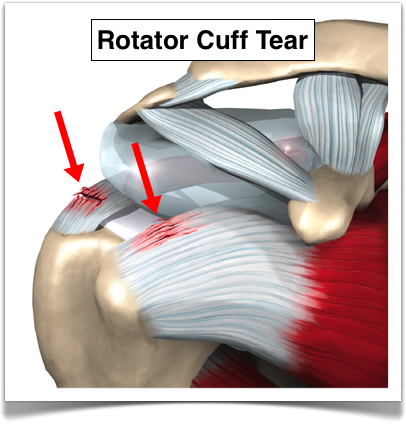 The term also can refer to new tears in the rotator cuff sustained during patients’ recovery. People who have had large tears repaired are more vulnerable to subsequent tears. Other ways that rotator cuffs are rendered incompetent include cervical spine disease and a nerve condition called suprascapular neuropathy. Athletes and workers who repeatedly and strenuously extend their arms overhead are susceptible to subacromial impingement, which compromises the rotator cuff. Another cause of ongoing discomfort is a type of arthritis. The best treatment for failed rotator cuff syndrome depends upon the cause. The primary options are revision repair, non-anatomic repair, tendon transfer and arthroplasty. Synthetic materials, or tendon tissues from other parts of the body, are used to create a bridge reconnecting the cuff’s torn segments. This method is known as a “tension-free” repair because tissues do not have to be pulled together, as when they are reattached with stitches. Another technique entails implanting scaffolds (natural or artificial supports) to hold tissues in place. Tendonesis, which can be performed arthroscopically or as open surgery, enables some patients to regain shoulder function. For seniors, surgeons tend to suggest biceps tenotomy, which takes less time than tendonesis and requires shorter rehabilitation. Tendon transfers are not recommended for the elderly, for patients experiencing post-surgical stiffness or for those with nerve injuries. However, the procedure can help young, physically active patients with weakness and limited range of motion but little pain. Patients diagnosed with degenerative glenohumeral arthritis, as well as older people who have had repeated cuff tears, sometimes undergo total shoulder replacement (arthroplasty). Hemiarthroplasty is the replacement of just the humerus portion of the shoulder joint. In one study, researchers spent eight years following 20 people with repaired rotator cuffs who had sustained re-tears. In most cases, the new tears stopped growing. The patients did not report increased shoulder pain or additional loss of movement. These results suggest that surgery is not always required when a re-tear occurs. For patients who do need further treatment to find relief for their symptoms, surgeons can suggest a variety of possible solutions. If you have been told you have a rotator cuff problem, call to schedule an appointment with our expert sports medicine surgeons at Orthopedic Surgery San Diego.